Every parent knows how important it is to make provision for your family and to ensure that things are sorted, legally, in the event of any kind of change in family circumstances. 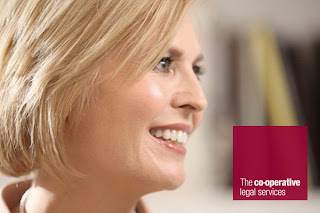 But good legal advice can be both costly and difficult to source which is where a new service from the Co-Op comes in. They've just launched a new Youtube Channel for Co-Operative Legal Services, featuring industry first video content offering simple, impartial advice on Family Law, Wills and Probate. The videos cover a range of issues from what to do when a relationship breaks down, dealing with divorce & separation as well as child welfare and domestic abuse. The videos are introduced and presented by Christina Blacklaws, Director of Policy at Co-operative Legal Services and a specialist in Family and Childcare Law. They are easy to understand and don't push Co-operative Legal Services exclusively - instead, being designed to be a useful resource to answer people's legal questions and concerns in the first instance.